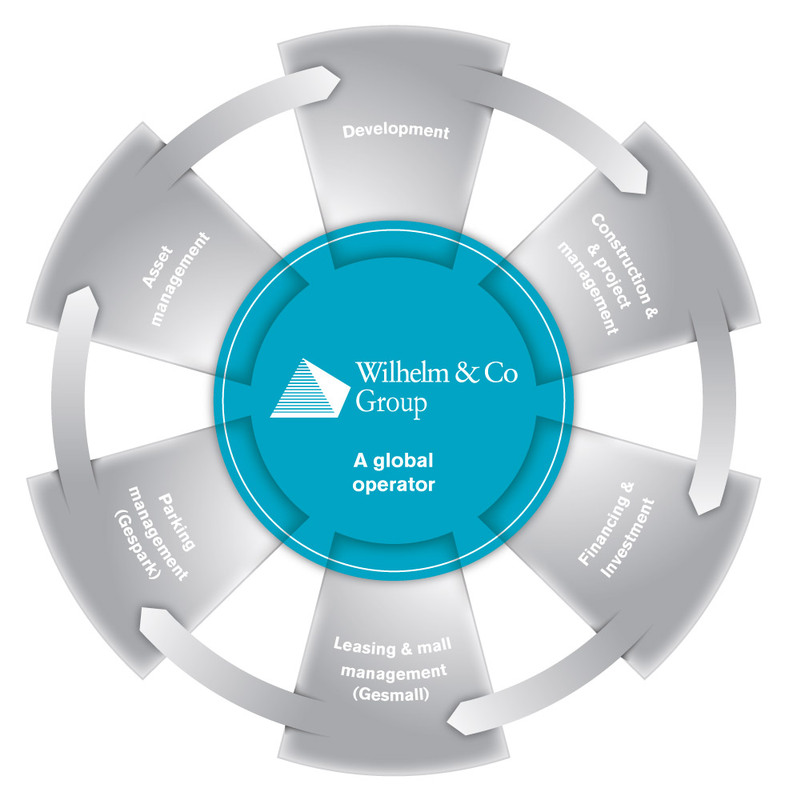 Wilhelm & Co has a long-term view on its investments, therefore ensuring a sustainable value growth through time. Being both a developer and manager of shopping centers and complex urban infrastructures, the Group has developed a virtuous circle of skills in this sector. Its asset management team focuses on the creation and improvement of its shopping centers’ long-term value. Its task starts from the very beginning of the conception and development phases of the projects. During this phase, the team closely works with the centers’ development and management teams (Gesmall) in order to establish the best center configurations, their tenant mix and the rental values. The Asset management team will always ensure a long-term approach when facing important decisions in this stage of the shopping centers’ lifecycle. When a shopping center opens, the asset manager elaborates its strategy, both operationally and in terms of expansion opportunities and future investments. Asset management will always make sure that every shopping center reaches its full potential. With all the challenges that come with real estate development, developers now need to be committed to a qualitative approach that meets the local authorities’ requirements. The authorities which are responsible for urban and regional development need to be able to rely on their partner’s competence and track record in order to guarantee exemplary quality . To achieve these objectives, Wilhelm & Co has surrounded itself with a multidisciplinary team composed of consultants, architects, urban and landscape planners, geographers, expert surveyors, engineers and sociologists. When the programming of a project is completed, the teams responsible for the operational phase of a development initiate the permit applications to the respective authorities. Once permits have been obtained, our teams supervise the general contractor’s work and the advancement of the construction. During the orchestration of this milestone, the responsible teams ensure, with rigor and know-how, that deadlines are met and budgets are respected, thereby guaranteeing the good progress of a project. Developing city districts with regional shopping centers requires a competent finance team versatile in the most complex structures. Wilhelm & Co manages complex structured finance operations worth multiple hundreds of millions of euros and does this for such diverse assets as housing, shopping centers or public parking. During the month of June 2011, Wilhelm & Co has widened its range of skills with a public issue of real estate certificates, by launching the most important IPO for a single Real Estate asset ever and the lagest IPO since 2007 on the Nyse Euronext in Brussels. 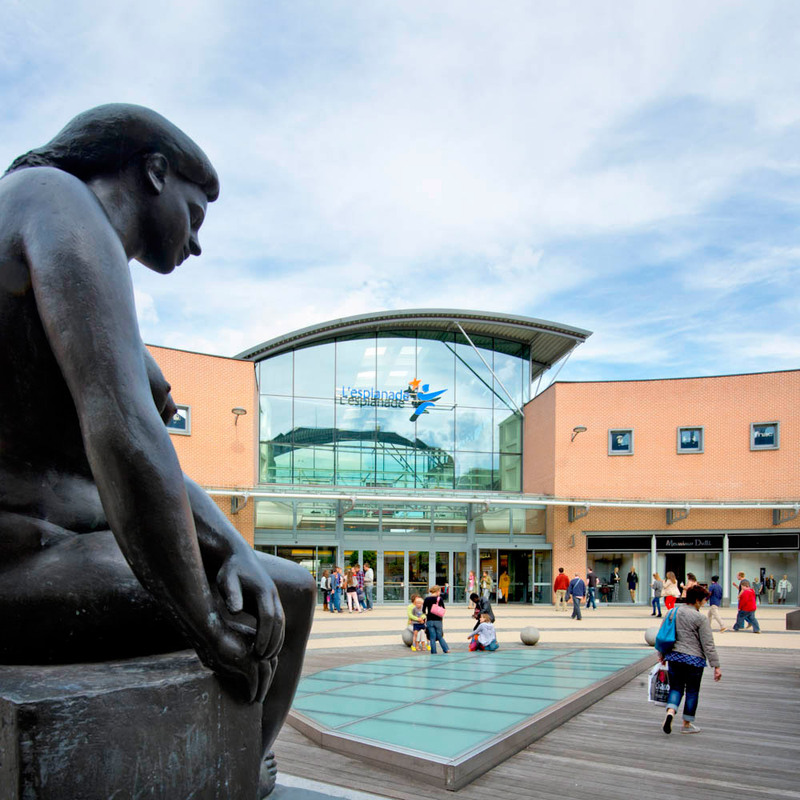 L’esplanade – Louvain-la-Neuve: EUR 265.000.000 for the development financing of a shopping centre and retail units with 41.000 sqm, 221 apartments and 6.000 parking units. Arranger and Lender: Aareal Bank. Wilhelm & Co has always had as strategy to keep a share ownership in its developments as a long-term investment, alongside institutional investors. The underlying motivation behind this strategy is the trust we have in the quality and the sustainability of our projects and their capacity to generate substantial medium- and long- term gains. Our institutional investment partners can see the proof of our confidence as we stay with them on a long-term engagement. Since 2011, with the planned launch of our own “retail” fund, our ambitions have evolved one step further towards the creation of a Pan-European group, capable of managing the full retail real estate value-chain, from concept to implementation, asset management and long-term ownership. Lay-out/location of the tenants : from the very beginning, the best lay-out is put in place to optimise the flow of shoppers. Innovation : new tenants on the local market will always be favoured to differentiate the shopping center from its potential competitors. Adequate selection of tenants : tenants are always chosen according to the socio-economic reality of the mall’s client base. 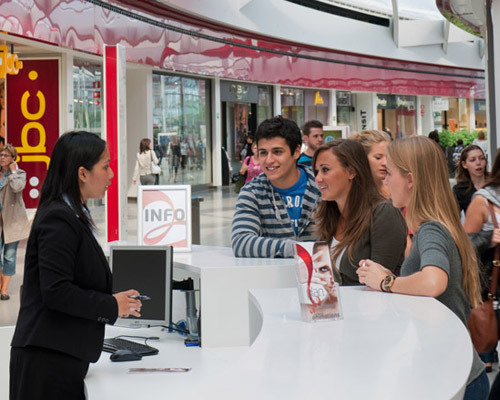 Uniqueness : searching for subsidiary activities with little or no profit (a nursery for children, services, leisure) is part of our Marketing, as we believe they are essential for the prosperity of the mall. Our goal is to provide our visitors with a new shopping experience by offering a well-balanced, natural, comfortable and safe shopping environment. 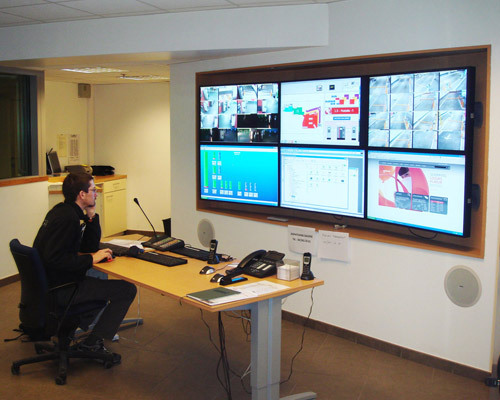 GESMALL ensures the marketing and management of the shopping centers. GESPARK (50/50 partnership between Wilhelm & Co and the MyPark Group) is a car park and urban logistics operating company. The Group also offers other support services such as public parking management, waste disposal, fire protection management or urban signposting for those municipalities that require it. 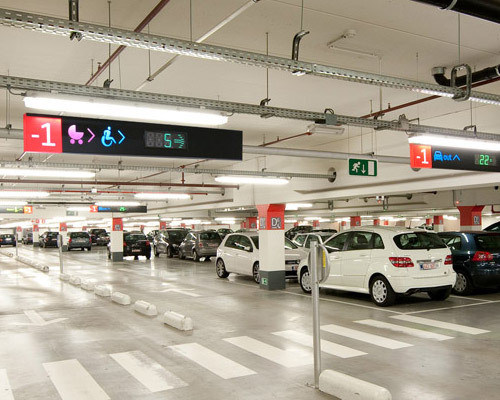 At L’esplanade (Louvain-la-Neuve), GESPARK manages the town centre’s 13 parking lots representing 6,000 parking spaces. It also takes care of the supply logistics, security, fire protection in the town’s 13-hectare substructure, signposting and waste disposal.